The auction included work by established contemporary artists, including Luis González-Palma, Erika Harrsch, Nereida Gárcia-Ferraz, and the de la Torre brothers. 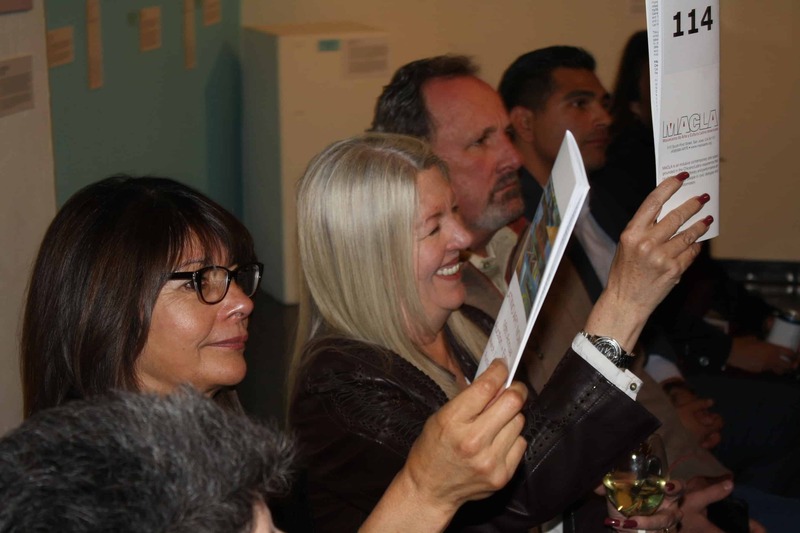 It also showcased prominent Bay Area artists including Viviana Paredes, Consuelo Jimenez-Underwood, Pablo Soto Campoamor, Sam Rodriguez, Nora Raggio and Juan Carlos Quintana. These and other artists generously donated selections from their current work, including paintings, light installations, sculpture, collage, mixed-media work, and photography, reflecting the breadth of visual arts media for which MACLA is known. 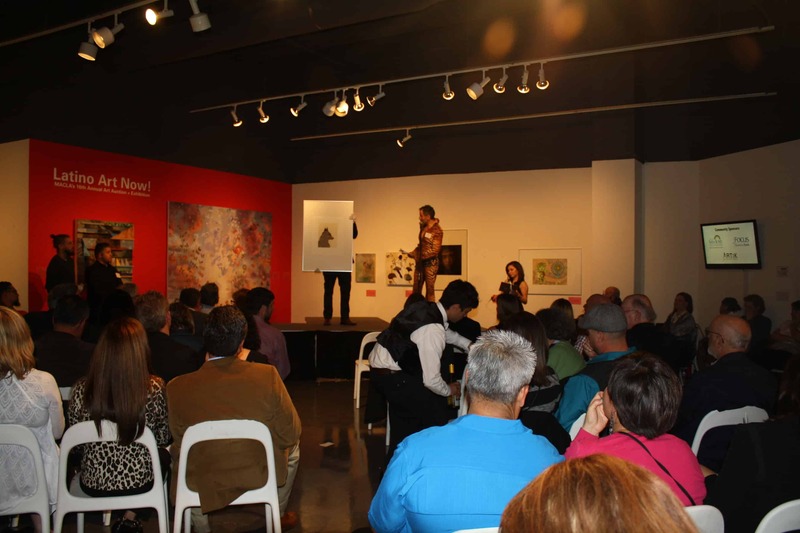 The auction, hosted by celebrity MC El Vez with music and entertainment by Cado, welcomed both experienced and first-time collectors and consisted of a silent auction at the gallery and a live auction for selected work on April 26, 2014. Auction proceeds supported MACLA’s programs in the visual arts, performing & literary arts, youth arts education; and, community development through the arts. The auction also raised funds to send PAYVA’s poetry slam team to the Brave New Voices Festival, held in Philadelphia this summer.